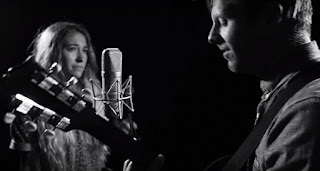 Multi-platinum selling alternative rock band Switchfoot teamed up with GRAMMY-nominated and Multi Dove Award winning artist Lauren Daigle to offer a fresh take on a familiar song. An all new version of Switchfoot's "I Won't Let You Go" featuring Daigle was released to iTunes in November. Now, you can watch a special one take, one mic acoustic performance of the song below. "We had the pleasure of bringing our friend Lauren Daigle into the studio to create this new unreleased version of 'I Won't Let You Go.' It was so inspiring to hear her breathe fresh life into one of our favorite songs," shares Switchfoot's Jon Foreman. Lauren Daigle adds, "This song and lyric meant so much to me. I'm so excited Switchfoot invited me into their studio to sing on this new unreleased version of I'I Won't Let You Go.' I hope it deeply impacts you too." "I Won't Let You Go" was originally released on Switchfoot's Where The Light Shines Through album which dropped on July 8th, 2016 via Vanguard Records in partnership with Capitol Christian Music Group. The album, Switchfoot's 10th collection, debuted at #1 on the Christian Albums chart, #3 on the Rock, Alternative and Overall Digital Albums charts and #10 on the Billboard Top 200, with more than 29,000 albums sold in the first week. And you wonder "what is it worth?" And you wonder "What’s giving birth?"